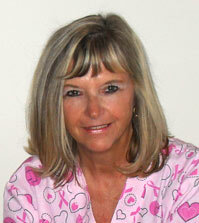 With 15 years of experience, Patricia Rose, LMT, is licensed to practice in the state of Pennsylvania. She has been a member of ABMP (Associated Bodywork and Massage Professionals) for over 10 years and has spent four years teaching as a massage instructor. Massage therapists, like Pat Rose LMT, use a variety of techniques to address soft tissue problems and increase circulation. The increased blood supply and nutrition to the muscles reduces inflammation and promotes healing because massage does not add to the load of toxic lactic acid produced through voluntary muscle movement. So massage helps prevent buildup of harmful "fatigue" products that result from strenuous exercise or injury. Massage also helps improve muscle tone, increases the number of red blood cells, improves circulation and nutrition of joints, and disperses the edema following an injury to ligaments and tendons and facilitates movement. Back In Motion Chiropractic is able to bill medically-necessary massage to various insurance companies including Blue Cross Blue Shield, as well as all automobile and workers compensation carriers. Please call our office at 724‑537‑5266 about your case. Back In Motion Chiropractic also offers wellness massage, which can be paid for by cash, check or credit card. Massage sessions are offered in 10 minute increments ranging from 10-60 minutes in length. We offer a quiet, relaxing environment with soft lighting, tranquil music and a comfortable changing area. All massages are by appointment only, so please call 724‑537‑5266 to schedule a massage appointment. Swedish Massage - The most common form of massage relaxes the muscles and eases aches and pains. Sports Massage - For athletes, sports massage techniques can be used pre-event, post-event, or during training as well as during rehabilitation. Shiatsu - Japanese accupressure massage that restores energy to the body. Trager - Massage technique that utilizes rocking movements to relax the mind and body. Hellerwork - A combination of movement re-education and muscle and connective tissue therapy. Polarity - Balances the energetic systems of the body. Reflexology - Massage of the hands, feet, and ears to stimulate the corresponding areas of the body. Improves circulation and nutrition to tissues. Acts as a "mechanical cleanser," stimulating lymph circulation, and helps eliminate wastes. Increases the excretion (via the kidneys) of fluids and waste products. Can aid in weight loss - especially when combined with the Zerona Laser treatment. Stretches connective tissues and prevents the formation of adhesions, reducing the danger of fibrosis. Compensates for lack of exercise caused by injury, illness or age. Contact us at 724-537-5266 to schedule a massage appointment.